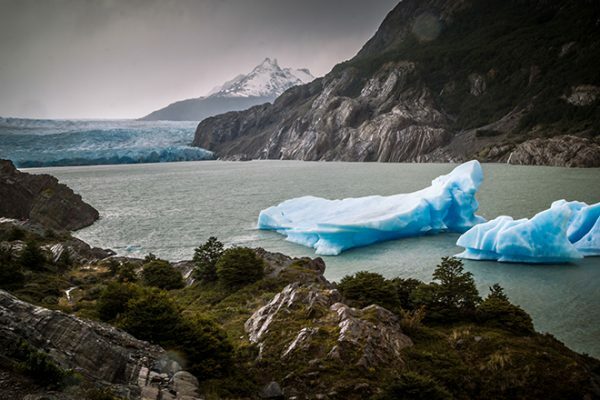 Research in this area spans the broad field of environmental and natural resource economics, focusing on current policy challenges, and understanding the cost and impact of protecting some of our most valuable global assets. In a time of increased understanding of the connections and tradeoffs between environment and development, we work on policy topics including energy markets, climate policy, and the environmental impacts of trade. Our faculty also work on non-market valuation, understanding how people use and value resources, and informing policies designed to protect them. Research also includes environmental justice issues, institutions and property rights, land trusts, conservation easements, and fisheries. We are proud that two of the major journals in the field, the Journal of the Association of Environmental and Resource Economists and Land Economics, are edited by AAE faculty. 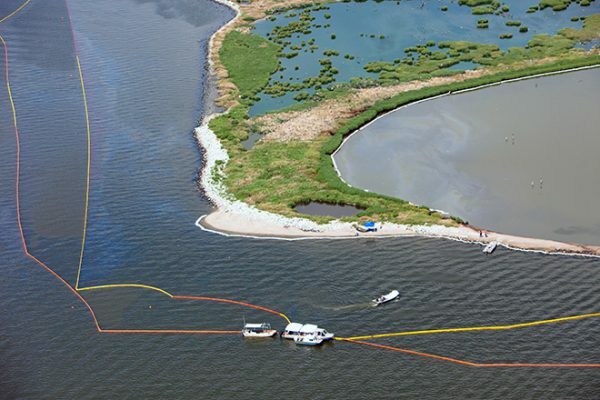 AAE emeritus faculty Rich Bishop worked to estimate the cost of damage to natural resources following the BP Oil Spill. As scientists of all kinds wrestle with modeling climate change, AAE faculty Grainger and Chavas take on the task for economics. 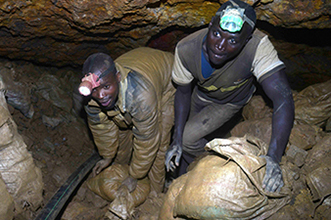 AAE professor Dominic Parker looks at the impact of conflict minerals legislation on violence in the Congo. 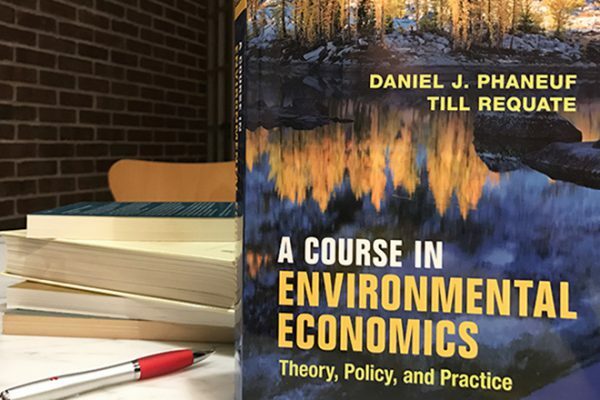 Dan Phaneuf couldn't find the modern environmental economics textbook he needed, so he and Till Requate wrote it themselves. AAE 244: The Environment and the Global Economy The "economic way of thinking" about global and regional environmental issues. Topics include climate change, biodiversity preservation, ocean fisheries, environmental impacts of international trade, poverty and the environment, and sustainability. AAE 246: Climate Change Economics and Policy Climate change and the role of applied economics in related policy analysis and research. Economics of mitigation, adaptation and geo-engineering; integrated assessment; environmental implications of energy use; climate change impacts on land use. Use of economic analysis and modeling for public policy design. AAE 343: Environmental Economics Microeconomic principles underlying the use of natural resources such as air, water, forests, fisheries, minerals and energy. These principles are applied in the examination of pollution control, preservation vs. development, deforestation, and other environmental issues. AAE 575: Special Topics Topics will vary from semester to semester. .
AAE 575: Intermediate Environmental Economics This course builds upon introductory environmental economics (AAE 343) by providing a more rigorous numerical problem solving approach. Throughout the course, theoretical tools and empirical techniques necessary for understanding environmental economics will be analyzed at the advanced undergraduate level. The emphasis of this course is on the application of microeconomic principals to deepen students’ understanding of (i) why resource and environmental problems have occurred from the economic point of view, and (ii) what kind of policy tools, which are provided by economics and management science, can usefully be implemented to solve these problems. AAE 643: Foundations of Environmental and Natural Resource Economics Survey of historical topics and contemporary research questions in environmental and resource economics. Focus areas include foundational models of human/environment interaction, definition and evaluation of the suite of environmental policy instruments, measuring environmental costs and benefits, and examining natural resource use. AAE 652: Decision Methods for Natural Resource Managers Applications of quantitative methods, including optimization and simulation, to the management of natural resources, especially forests. AAE 671: Energy Economics The method, application, and limitations of traditional economic approaches to the study of energy problems. Topics include microeconomic foundations of energy demand and supply; optimal pricing and allocation of energy resources; energy market structure, conduct, and performance; macro linkages of energy and the economy; and the economics of regulatory and other public policy approaches to the social control of energy. AAE 760: Frontiers in Environmental and Natural Resource Economics 1 Economic tools and principles pertaining to the optimal management of natural resources. Theoretical models characterize efficient resource use and predict management decisions under different institutional settings. Empirical applications relate to public and private management of forests, fish, wildlife, minerals, and energy resources. Examples highlight the importance of discount rates, property rights, and government policies. AAE 761: Valuation of Environmental Resources Theoretical underpinnings of environmental valuation and issues pertinent to applications to public decisions. Topics: basic concepts of welfare measurement; issues and benefit-cost analysis; and methods of nonmarket valuation, including contingent valuation, the travel cost method, and hedonic valuation. AAE 881: Benefit-Cost Analysis This course will present the welfare economics underpinnings for evaluating the social benefits and costs of government activities. Issues such as uncertainty, the social discount rate, and welfare weights will be discussed; case studies from the environmental, social policy, and agricultural areas will be studied.